Lately I feel like I’m continually having to catch up. I have to catch up on blogging, catch up on house organization, catch up at work, catch up with sleep, running, and just plain catch up with myself! This is not a healthy way of living and I’ve got to give this some serious thought. What things can I drop so that I can just BE caught up? 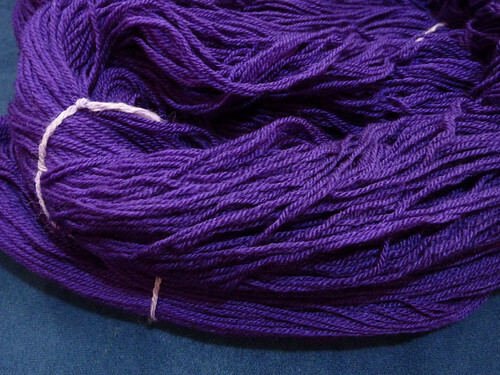 Last weekend I did some yarn dyeing. Yes, along with everything else on my to-do list, I made time for this. 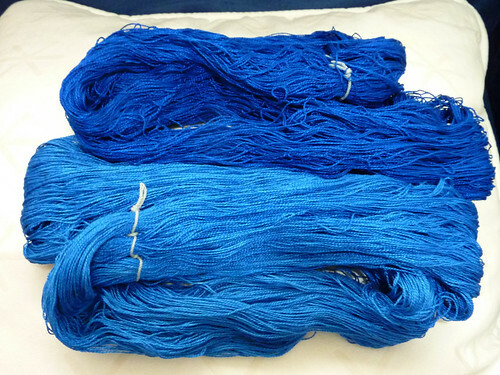 I really enjoy dyeing yarn, even in my little kitchen, on a cold day when rinsing outside turns my hands blue (in more ways than one). Dyeing makes me feel like a little kid again, mixing potions and seeing what will come out. I also dyed my yellow socks black. REALLY black. Now THIS is how to knit black socks. Just make them in a light color that is easy to see and work with, then dye them black. Perfect. I used black acid dye instead of mixing other colors to get black. Super easy. I’ve also been busy working on my Nerd Wars project for February. I finished it today. Yea!! 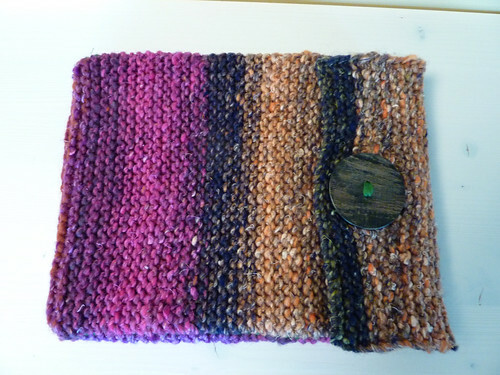 I made an iPad cover, using Noro Iro yarn and lined it with a boys t-shirt that I bought and cut up just for this project. It took a lot more time than I expected and I have lots of trial and error with the lining and buttonhole. 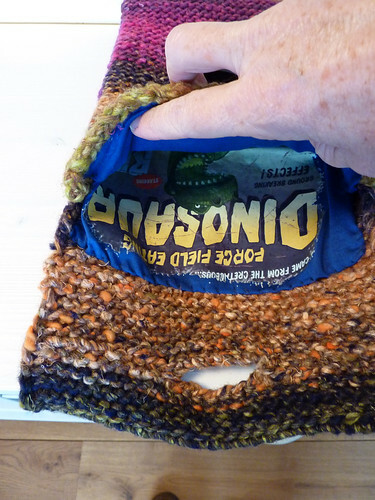 When I got the whole thing put together I discovered that the button hold was far too low so I had to open the knitting back up and knit an extra 3 inches. 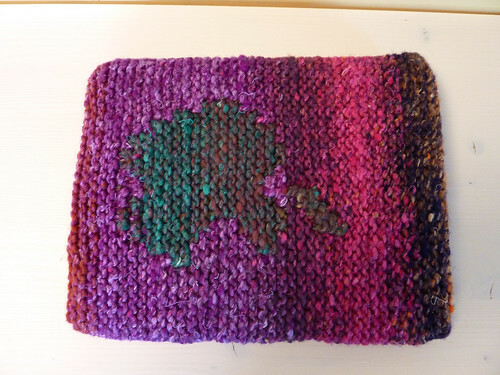 Luckily I had enough yarn at just the right color change so you can’t tell at all that I had to do this. 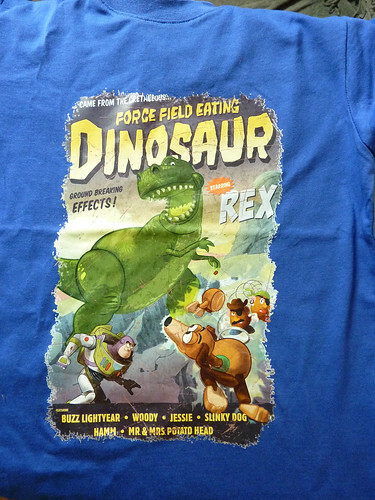 I’m sure to get some good points for the Bazinga team with this! I also have a new train project, which I’m really happy about. Socks are the perfect project for train rides to and from work. They are so small and portable that even if the train is packed and you have to stand in the aisles, you can get out your sock and knit standing up. I did just that last week. Twice. The Monday night group is doing another KAL, although this is a very small one with only 5 people participating. 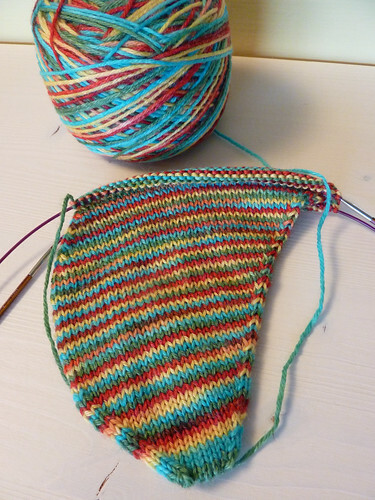 We’re making Skew socks. I’ve been wanting to make these for a very long time and now I’m finally doing it. 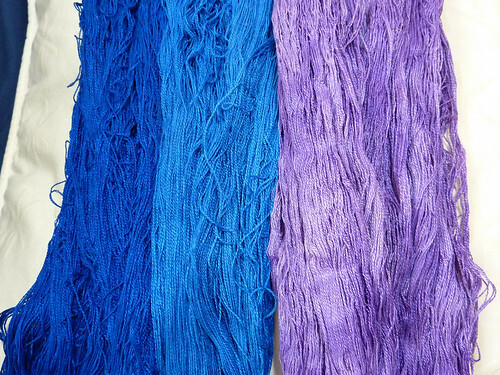 I also dyed this yarn, last summer, mostly with acid dye but the bright blue is Kool-Aid dye. 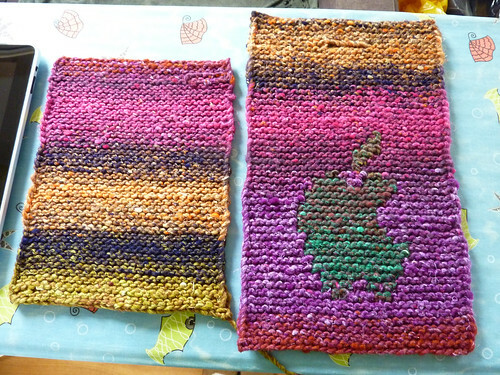 And now I’m caught up with the knitting news! Well, mostly. I’m also working on an amazing brioche swatch that I will show you much later. 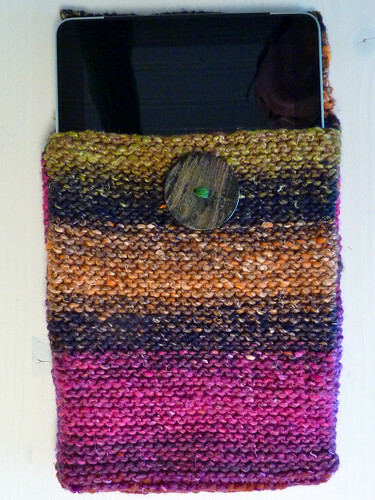 And a little short sleeved sweater to wear while working my table at the Breidag (Knitting Day) in April. I’ll try not to get behind on that project so that I don’t have to catch up later.